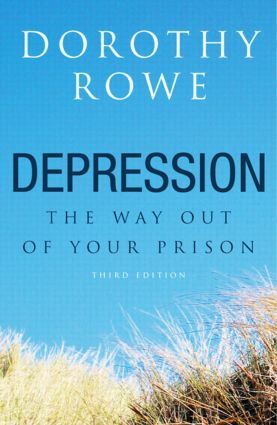 Depression: The Way Out of Your Prison gives us a way of understanding our depression which matches our experience and which enables us to take charge of our life and change it. Dorothy Rowe shows us that depression is not an illness or a mental disorder but a defence against pain and fear, which we can use whenever we suffer a disaster and discover that our life is not what we thought it was. Depression is an unwanted consequence of how we see ourselves and the world. By understanding how we have interpreted events in our life we can choose to change our interpretations and thus create for ourselves a happier, more fulfilling life. Depression: The Way Out of Your Prison is for depressed people, their family and friends, and for all professionals and non-professionals who work with depressed people. Why not leave the prison? Suppose I did want to leave the prison, what should I do?